If you have a project to complete, be careful of the websites that you use. Why not ask your teacher for specific website links to use. Please be aware that anything you find on the internet needs to be worded in your own way in order to avoid copyright issues or make sure to reference your sources. Read more about Copyright from www.copyrightkids.org. How do I know if a website is reliable? T is for Title. Look at the website title. Is it relevant and useful? A is for Author. Who has constructed the site? Is it from a trustworthy source. Go to the 'About Us' page. S is for Summary. Read through the content. Is it suitable for your needs? Is it relevant? K is for kids. is the website aimed at children? Is the information presented in a child-friendly manner? Why not install and use a child-friendly search engine when looking up key words for projects. Ask your parents to save it as your homepage as a safer alternative to Google. KidRex is a fun and safe search for kids, by kids! 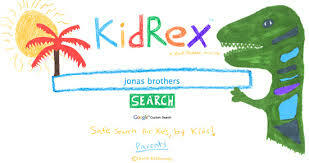 KidRex searches emphasize kid-related webpages from across the entire web and are powered by Google Custom Search™ and use Google SafeSearch™ technology. The Britannica School website is now available anywhere, anytime in the Republic of Ireland. It contains a comprehensive range of age-appropriate resources that feature factual information, multimedia and interactivity. So, pick the level that best suits you and your students and get started! Fact Monster is a free reference site for students, teachers, and parents. Find out about animals, people and place on National geographic for Kids. Search or Share. Scoilnet helps you prepare! Be ready for class with the most up-to-date, engaging resources handpicked by Irish teachers. Want to improve your ICT skills?